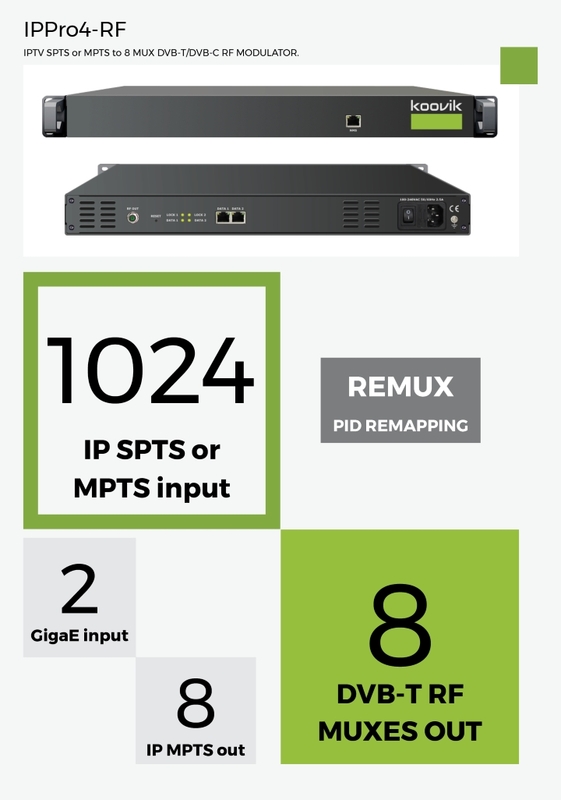 IP MPTS up to 8 MPTS Unicast or Multicast. Over UDP/RTP/RTSP. Mirror of DVB-T Muxes.